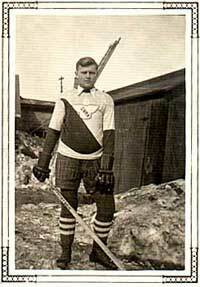 In the 1920's , the Town of Capreol had several powerful teams in its midst. 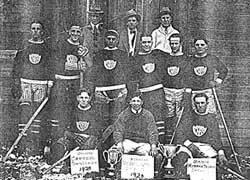 The CNRA team of 1920 won the Capreol Town League, Vermilion League and the Murray Trophy. The CNRA team was comprised of Capreol boys with a dream of some day playing in the NHL. Joffre Desilets was one of these players who later went on to play in the NHL. Some of the other players on this team were Alex Nepitt, Neil Young, Bill Park, Waley Crow, Leo Desilets, Dueford Carl Sadler, Gord Jackson, George Allan, Bill Michaud and Ron Desilets. With the talent that the CNRA team possessed , it was no fluke that they seldom lost a game.